Tennessee has been purging people from its Medicaid rolls, while the legislature is working to promote caps on the program. The Tennessee State Capitol in Nashville. 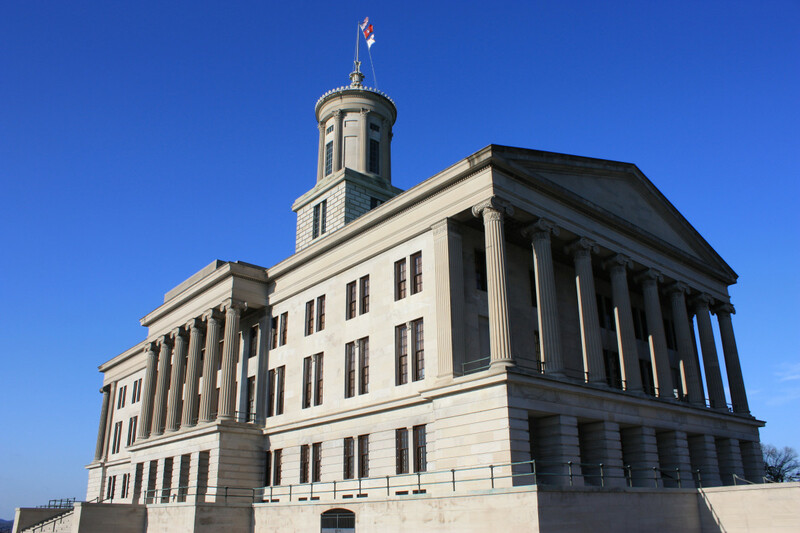 Last week, the House Insurance Committee of the GOP-controlled Tennessee State Legislature voted along party lines to advance a bill promoting block-grant caps on Medicaid for the state. Block grants, as we&apos;ve covered at Pacific Standard, are a means—long favored by Republicans—of cutting funding for Medicaid. The GOP has been trying and failing to impose Medicaid block grants since at least 1981. This latest state bill, which would force the governor to request permission for block grants from the federal Department of Health and Human Services, is opposed by a wide swathe of health-justice organizations in the state, but has now advanced to the House Finance, Ways, and Means Committee of the state&apos;s general assembly. Dangerous bills like this one make incremental progress in state legislatures all the time, often without ever coming into law. 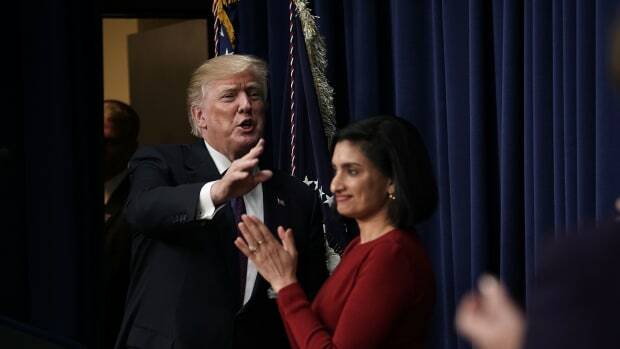 But, lately, right-wing state governments have been collaborating with the Trump administration to limit access to Medicaid in ways that look like they might go fully into effect. 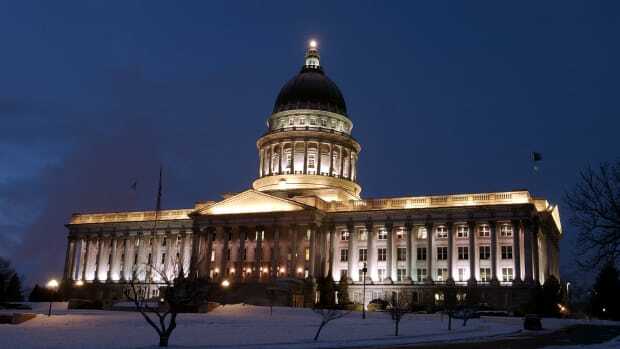 Just last week, the Department of Health and Human Services approved Utah&apos;s request for block grants, an unprecedented move that, if it evades legal challenges, will likely result in significant harms to vulnerable Utahns. Now here comes Tennessee, following fast in this race to the bottom. 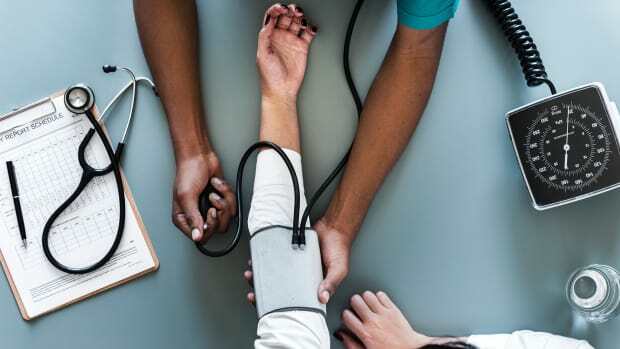 The news about block grants follows quickly on a report from the Nashville Tennessean that the state has purged over 128,000 children from TennCare, the state&apos;s Medicaid program. In many cases, the state agency hasn&apos;t even notified the parents that they have lost their health-care coverage. Tennessean reporter Brett Kelman told NPR that some of these children were purged from the rolls because their parents now make too much money to qualify for Medicaid, while other families simply didn&apos;t fill out the paperwork correctly. My son has Down syndrome, and over the years I have filled out plenty of paperwork in both Illinois and Minnesota. These forms tend to require handwritten responses and are dozens of pages long, demanding lots of time, patience, good eyesight, neat penmanship, and often lots of medical documentation. It&apos;s not hard to imagine how a parent, especially one stressed by poverty (Medicaid is intended for low-income individuals and families), might sometimes fail to complete and send those forms on time. Paperwork also gets lost or mishandled, but without some kind of warning and amelioration system, families who do still qualify for TennCare might get expelled unjustly. Over email, a spokesperson for TennCare tells me that Tennessee stopped its annual eligibility check for Medicaid during the expansion of Medicaid after the Affordable Care Act passed in 2010. TennCare has now resumed that annual re-determination process, resulting in the latest purge. The spokesperson also sent me a copy of the re-determination packet. It is 108 pages long, half in English and half in Spanish. TennCare does provide "special help" for people who request assistance with filling out the paperwork, but it’s easy for me to imagine struggling to complete this behemoth. Kelman, of the Tennessean, has story after story of disabled children losing coverage with little recourse to get it elsewhere—findings echoed by follow-up reporting from Memphis. Kelman describes an autistic boy and his single mom who lost care and suddenly couldn&apos;t access speech, occupational, or developmental therapy. The boy&apos;s performance in school deteriorated as a result. Another family sought surgery for their disabled child, then discovered afterward that they&apos;d lost Medicaid coverage and now owed the hospital tens of thousands of dollars. In the summer of 2017, the GOP failed to overturn the ACA and impose caps on Medicaid in the United States Senate. 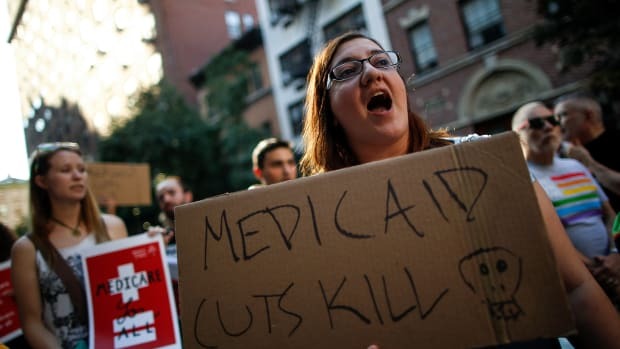 Since then, Republicans around the country have been seeking ways to cut Medicaid—and thus cut access to health care for vulnerable people—in state governments. The latest victims of this movement are now 128,000 children in Tennessee. A well-funded Medicaid expansion saves lives and money. Yet Utah and 14 other states are applying for work requirements in hopes of strangling the program. But the Trump administration's attacks on Medicaid are nowhere near finished. 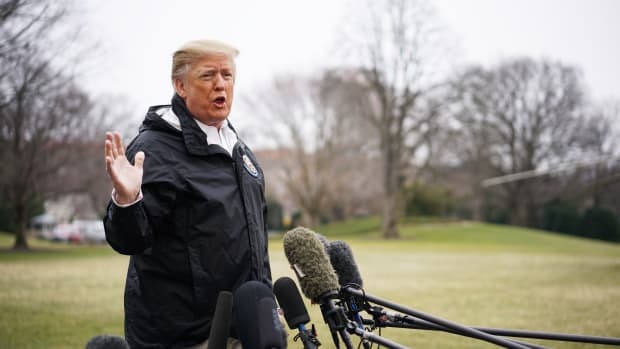 With Dems running the House, the Trump administration is looking for ways to enact its agenda without legislative approval. When it comes to attacking programs that help the most vulnerable Americans, Donald Trump is right in step with his predecessors and his party. Until American health care becomes truly universal, Medicaid expansion is the best way for states to safeguard the most vulnerable populations.